Step out of the city life by going to Teijo national park and Nuuksio National Park. 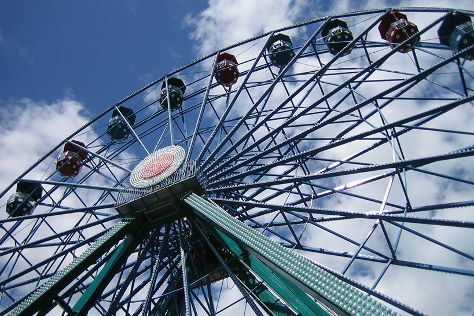 Family-friendly places like Bellevue Beach and Linnanmaki Amusement Park will thrill your kids. Explore Helsinki's surroundings by going to Fagervik Museum (in Inkoo), Porvoo (Cathedral of Porvoo & Porvoo Old Town) and Arboretum Mustila (in Elimaki). Spend the 11th (Thu) exploring nature at Ekenas Archipelago National Park. The adventure continues: take an in-depth tour of Seurasaari Island and Open-Air Museum, take in the dramatic natural features at Hiidenvuori, hunt for treasures at Hakaniemi Market, and test your team's savvy at popular escape rooms. To see reviews, where to stay, ratings, and more tourist information, read our Helsinki trip maker . If you are flying in from United Arab Emirates, the closest major airport is Helsinki Vantaa Airport. July in Helsinki sees daily highs of 25°C and lows of 15°C at night. Finish up your sightseeing early on the 11th (Thu) so you can travel back home.